How would you like to spend a couple of days floating down a river with nothing to do but take pictures? How would you like to spend time photographing the sunrise from somewhere you've dreamed of for years and then come back to a wonderful breakfast? Do you want to take a photo trip without 10 strangers taking the same picture you are taking? Do you want to photograph somewhere specific but don’t have the gear, experience, or skills to get there? Nelson Stegall Photography offers guide services to get you to that special location for that great shot. From a long day hike to a remote waterfall to a multi-day float trip down that special river, we offer personalized trips with prepared meals, snacks, and even a power source for recharging your camera batteries. Let us plan your guided nature photography trip for you. You only need to decide where and when and we can take care of the rest. We'll provide the logistics, so you can concentrate on the photography. Most of our trips are set in the backcountry so you can get a one-of-a-kind shot. We will have done some scouting of your chosen location and will provide you with some suggestions, but otherwise, you're set free with your camera to capture the shots you've been dreaming of! Want some ideas for a personalized guided nature photography trip? Florida has over 40 major clear water springs that flow into miles of black water rivers. Just imagine yourself peacefully floating one of these rivers with endless opportunities to capture WILD Florida. Alligators of all sizes, playful river otters, countless birds, and the majestic manatee are just some of the potential photographic opportunities you could encounter. 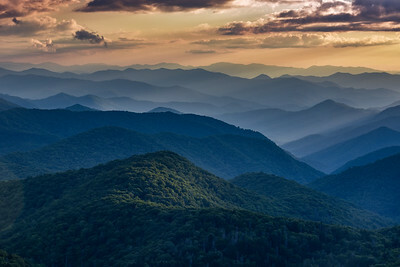 Did you know North Carolina has all of the following: four dark sky parks, Mount Mitchell (the highest peak East of the Mississippi River), light houses, beaches, and sea side villages and the NC Outer Banks. Transylvania County (in the breathtaking Blue Ridge Mountains) even has over 250 waterfalls. Let’s spend an adventure-filled day or three exploring the beauty from the Blue Ridge Mountains to the Outer Banks. 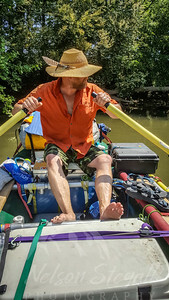 Float the New or French Broad Rivers (thought to be the second and third oldest rivers in the world). Choose to go in the Autumn for colors to be out in full force. The opportunity might also present a local black bear getting ready for hibernation, deer nibbling the last of the summer’s growth, or a bald eagle (who are making a slow come back to the area). A multi-day adventure moves at a slower pace and gives you lots of photographic opportunities. Venture into the REAL wild. 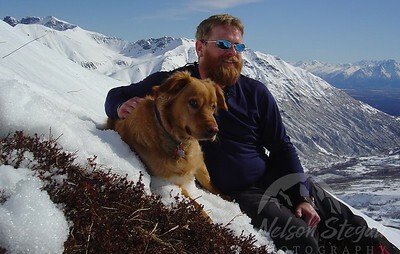 In the Kenai Peninsula (south of Anchorage), there's so much to photograph! And with the sun providing a long window of great lighting, you just might forget to sleep. There will be ample time to photograph majestic mountain ranges, moose, bear, bald eagles, icebergs, or raging rivers. During high noon hours you will find time to nap, edit photos, or fish in one of the many lakes and rivers. Fill out the form below so we can start planning YOUR personalized guided nature photography trip!